Immigrants are typically pushed or pulled to leave their home countries by a host of factors including economics, governance, conflict and war, climate change, and social networks abroad. However, a new analysis of a decade’s worth of Gallup data reveals that many people are spurred to move not only for their own wellbeing – but for the sake of their children. This is the finding of a team of researchers from the Unicef Office of Research and the Swedish International Development Cooperation Agency which looked at the extent that children’s wellbeing is a potential driver of migration. 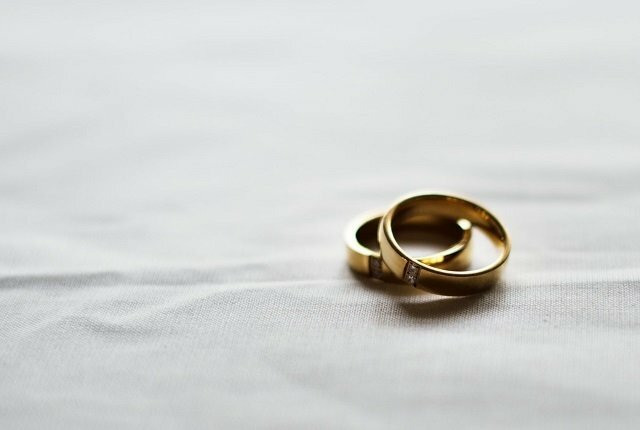 “The strength of this relationship may be a starting point for additional analysis that recognises children’s wellbeing as a migration driver and dives further into possible causal relationships,” the researchers said. As part of the research, the policy paper looked at the various push and pull factors which lead to people emigrating and how many people actually make the jump. Gallup’s World Poll – which surveyed more than 150 countries from 2o06 to 2016 – offered two variables to these measure intentions: desire, and actual plans to migrate. The former captures whether an individual would like to move permanently to another country, while the latter identifies whether an individual is planning to do it. Using this metric the research shows that roughly 1.5% of South Africans say they have actual plans to migrate while closer to 16% say they would like to migrate. The following figure illustrates the relationship between these variables in different countries. 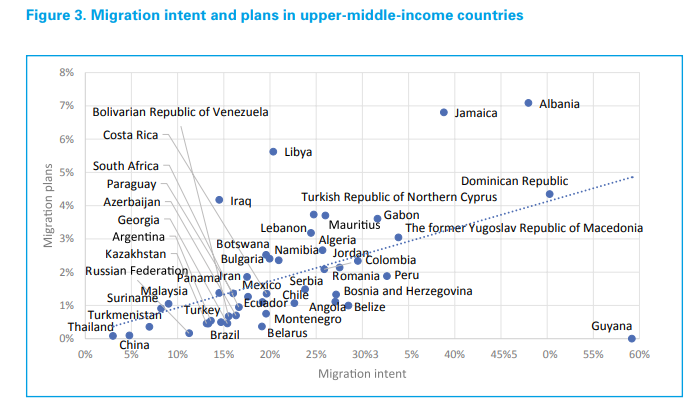 The scatter plots display the percentage of individuals with an intent to migrate on the horizontal axis and the percentage of individuals with migration plans on the vertical axis. “Countries with a higher than average proportion of individuals with migration intent also display a higher proportion of individuals with migration plans,” the researchers said. Because the above graph is an aggregate of a decade worth of survey data (2006 – 2016), the findings are unlikely to differ drastically from current statistics. 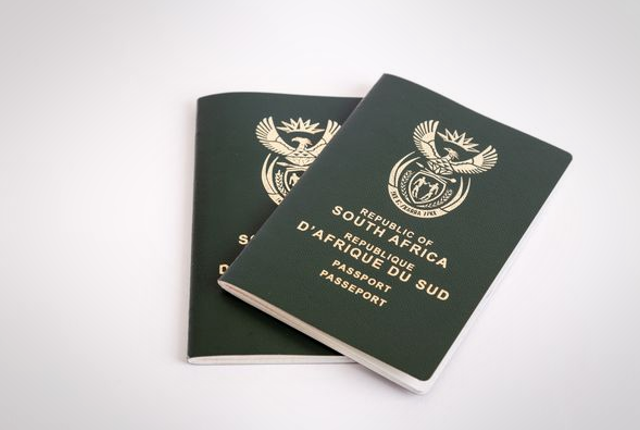 However anecdotal data shows that there has been a continual increase in the number of skilled South Africans leaving the country. Speaking to the City Press, removals firm Elliott Mobility said it facilitated 2,500 moves abroad in 2018 and that it expects this number to increase by approximately 20%. “People are emigrating for job and family prospects,” said the company’s Moira Luyckx. “There are also some who are relocated by local and global corporations for their specific skills,” she said. According to Elliott Mobility, clients are aged between 30 and 55, and are 85% white, 5% African and 10% Indian. The most popular destinations his clients emigrate to are the UK, Australia and New Zealand with the US, Canada, Asia, the rest of Africa and parts of the Middle East, also on the list.